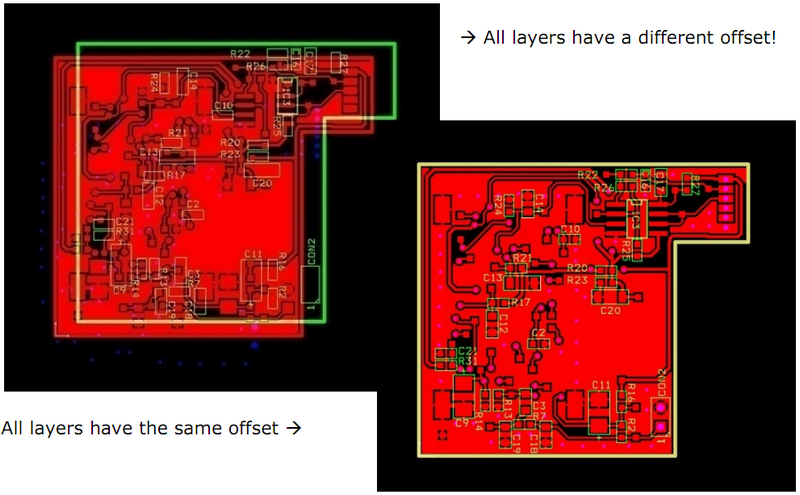 Keeping some simple rules in mind can avoid that we have to contact you after you place an order to resolve pcb design issues. We derived these 10 rules from the most common issues we encounter in our daily frontend engineering process. Do not scale your data – All data provided must be scale 1/1 (100 %). and that your Excellon data DOES NOT have zero sized tools ( size=0.00mm or inches). Use the same offset for all your Gerber layers and the Excellon drill data. Preferably use no offset at all. Use the same units (mm or inch) in your Gerber & Excellon output files as in your CAD PCB design software. This will eliminate conversion or rounding errors. Use the same resolution (grid) for your Gerber & Excellon data to allow a perfect match. Set the resolution (grid) for output (Gerber & Excellon) to 6 decimals using the imperial system and 5 to decimals using the metric system as recommended in the Gerber specification. If your CAD system supports only lower resolutions than what is recommended then use the highest available number of decimals. Make sure that your data is supplied as seen from top to bottom through the PCB. DO NOT mirror (or reflect) any data layer – image or drill. Viewing a PCB from top to bottom through the board is the universal practice in the PCB industry. 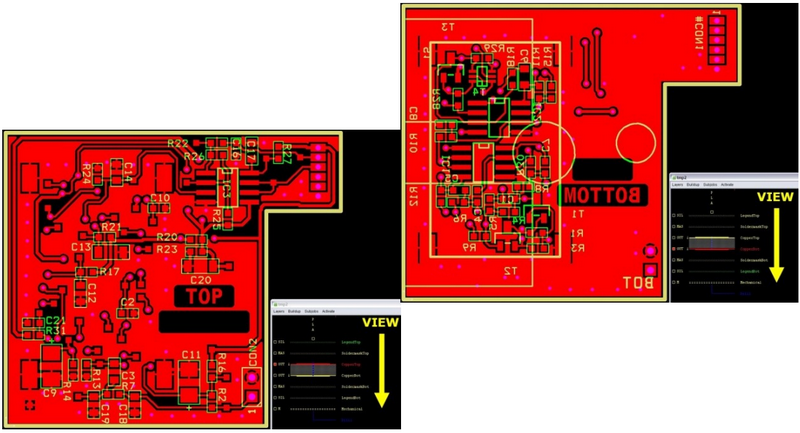 We view and handle your data in that way, as does your CAD PCB design software. (copper, soldermask, legend) should be non-readable (= mirrored). Put some small text (board identification, company name, etc…) in the copper layers. Make sure the text complies with the readability rules. (Rule number 6). This will help us to avoid mirroring errors. RECOMMENDATION. In your Gerber files use flashed pads as often as possible. which only shows the apertures used in the design. of an offset problem. Also include the board outline in a separate Gerber mechanical plan.